Most girls know, your hair can either be your best friend or your worst enemy. The days it decides to behave, it can look so stunning, you almost want to point it out to everyone you know. And the days it goes ‘out-of-control’, is when you want to wear a blanket on your head and hide. Especially when it’s of medium-length, you can’t even leave it open and expect people to compliment its length! We have brought you the easiest way to have gorgeous looking hair every day, for every occasion. 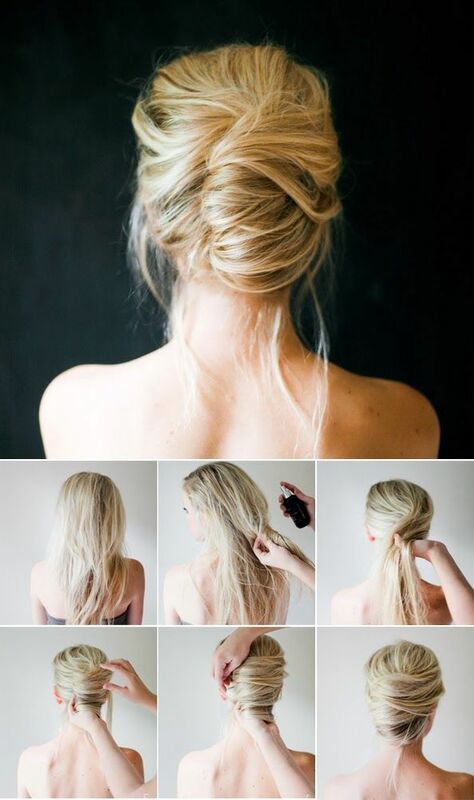 Messy buns are a great way to start hairstyle tutorials. 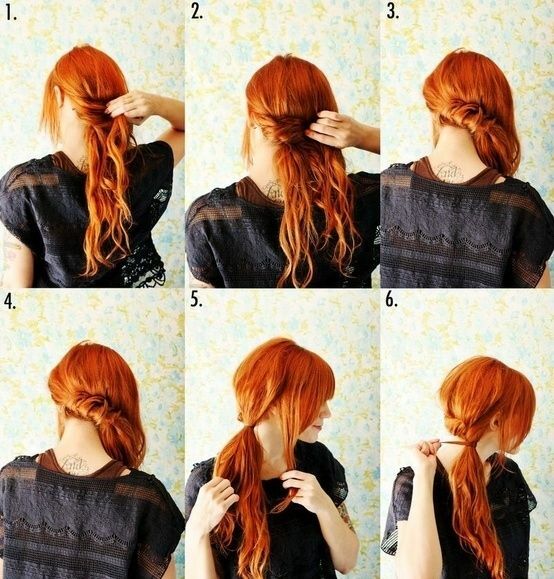 Creating a messy bun can come in handy at any time. Whether it’s a date at an upscale restaurant, a friend’s reception party or even a professional night out, this hairstyle can pull you out of any sticky situation. The process is simple enough to begin with though you may need the help of your bestie for the first time. It helps to detangle and tame your hair before jumping straight to the styling, so keep your serums and irons handy. Knotty ponytails are the latest trend taking the digital world by storm. They are so chic yet so serious, they can blend right into a professional setting. The best part about these hairstyles is how practical they are. When you are taking a long flight, for instance, you can hardly afford to pull your hair into just a ponytail. This gives you a simple way of holding your hair together, without losing out on the style quotient and going (dare we say it) the French braid way. Some of the simplest chignons have simple ponytails at the foundation. Yet the finished product is so sleek and classy, nobody can guess that you cheated your way to that chignon (which is exactly what you need). A great way to do up your hair on a Christmas party or reception party night, all this needs is some serum and a gorgeous clip to hold your hair together. It’s a great way to get away with unwashed hair because the built up sebum will actually help keep your hairdo in place. It’s worth knowing how to style your hair for everyday activities as well. That important meeting at work, or meeting your boyfriend’s mother, for example, can be times when you want to look like your everyday best. Choose from simple hacks to create glossed but natural looking curls or a perfect blow dry effect. You can even choose to go for a double ponytail- which should be called sneaky double ponytail instead. Your hair will appear to be naturally styled but incredible at the same time. We all love the elaborate hairstyles that we see around, but with our hectic schedules who has the time to make a thousand braids? There’s a whole world of hairstyle guides out there, the idea is to pick those which suit your lifestyle and more importantly, your hair. Remember to stay away from using too many products or applying too much heat to your hair, because this can rob it of its natural beauty, and we don’t want that, do we?